A winter walk on Chesterman Beach- image courtesy of Jacqui Windh. Get in touch with Mother Nature’s wild side at the windswept edge of Canada. Every winter from November to February, the storm chasers arrive to be blown away by the awe-inspiring coastal drama. 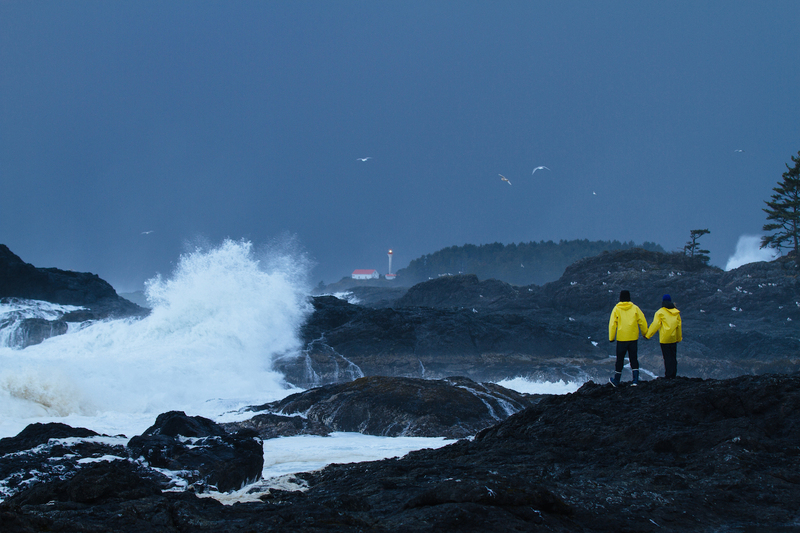 The current top spot in Canada to experience winter storm watching is the tiny hamlet of Tofino, Vancouver Island, from inside the luxurious Wickaninnish Inn, or on Chesterman Beach, where howling winds, horizontal rain and six-metre-high seas wreak havoc. “The Wick” was designed and built with winter storm watching in mind to offer the best views of thundering waves. 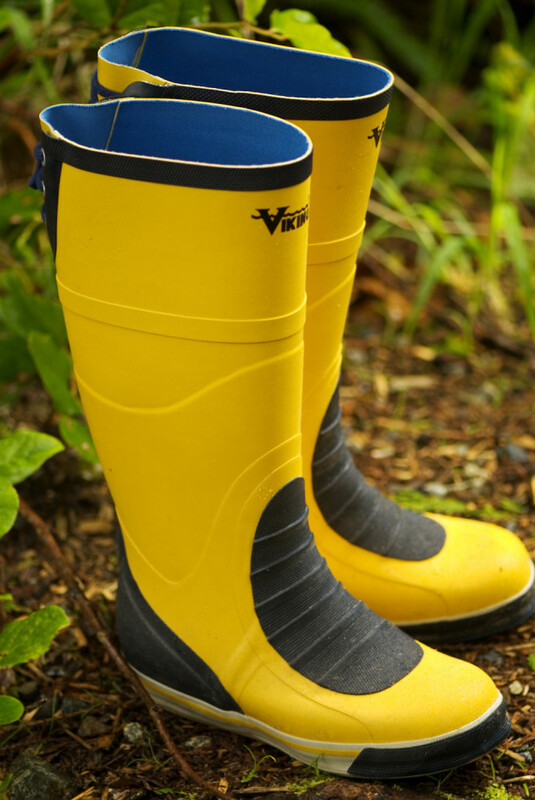 Guests are provided with full rain gear. It’s an exhilarating, humbling reminder that Mother Nature really is in charge. 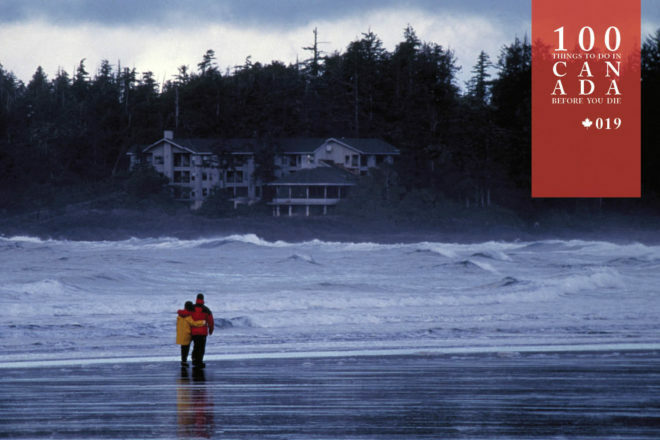 Hunker down for the storm of your life at the Wickaninnish Inn from November to February. Find out more here. 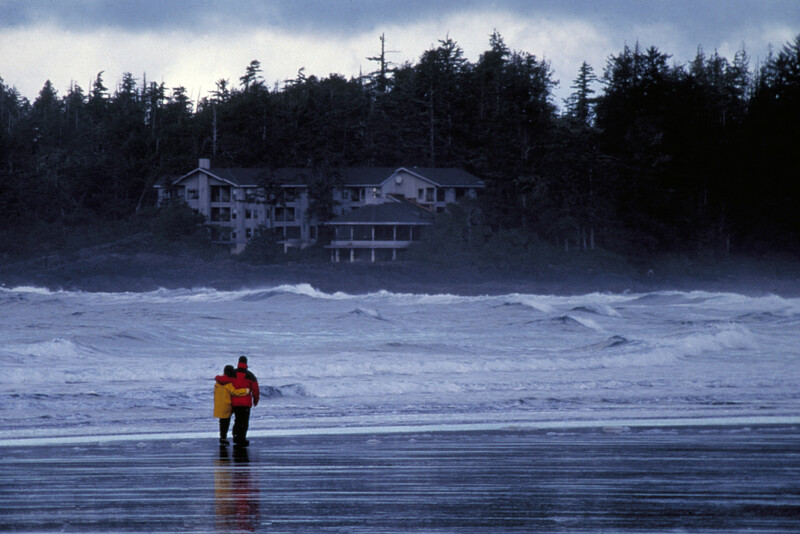 Tofino, BC, is a four-hour drive north-west of Victoria, British Columbia’s capital. The Wickaninnish Inn is on the north-western end of pretty Chesterman Beach.